The word waterproof might be used loosely by some products. They could just be water resistant socks. Or they might be really waterproof but how they are made still allows water to enter the socks somehow. These are the things you should consider when looking for waterproof socks: fit, comfort, breathability, materials, height, and where they are made. Sometimes we can do something about our clothes if they don’t fit. Socks aren’t one of those things that we can remedy on the spot if they are ill-fitting. 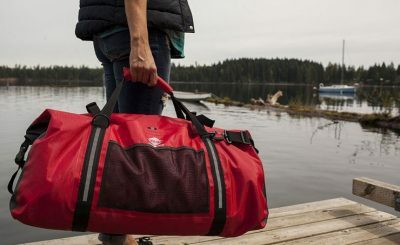 They just need to be the best fit because otherwise, they would hinder you from doing your activity or work, and their waterproof feature would be rendered useless. 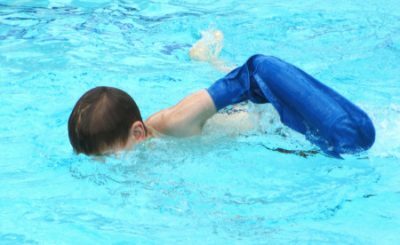 Waterproof socks shouldn’t be too tight that they cut off the circulation in your legs, nor should they be loose that water can enter through the baggy leg holes. The socks may be able to deliver their promise of being waterproof, but because they fit loosely on your legs, they can’t function as such. You need socks that fit snugly but not tightly. Does it have enough space in the toe box so your toes don’t feel like they are being squeezed together? Does the heel part fit just right in your heel? Choose a pair that has an elastic band around the cuff or is overall stretchy so it will not come loose. Apart from the fit, test out how comfortable the socks are. Water proof socks mostly have three layers, which mean they probably also have thick stitching. This could be a problem for comfort as thick seams can cause blisters and are just painful to step on, much like stepping on a Lego, just a bit more tolerable. There are poorly made waterproof socks as well, with the three layers not properly aligned with each other. You can feel the interlining membrane sliding off between the inner and outer, making it feel that you are going to slip any time. Avoid these socks. So look for well made ones that are comfortable. This is a conundrum that many sock-makers have. 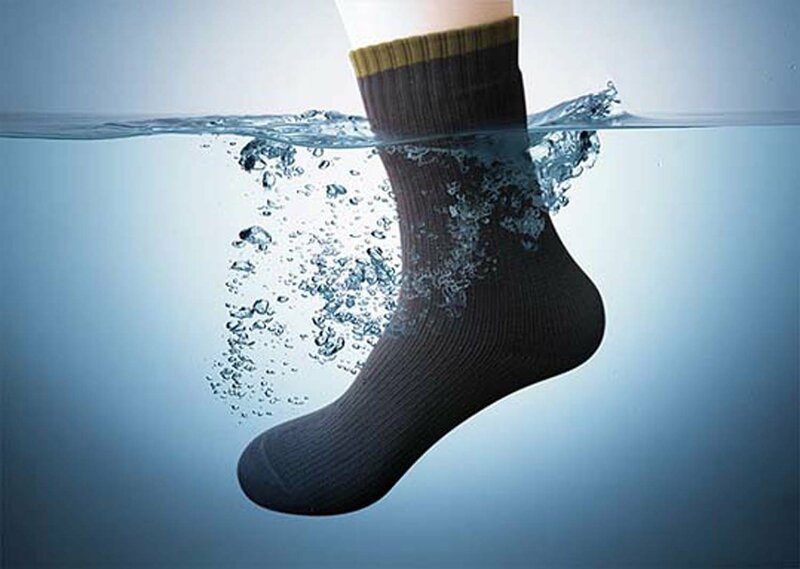 A pair of waterproof sock means there is a membrane that is impenetrable by water. And if it’s impenetrable by water, it is highly likely it is also impenetrable by air. So how do you make the socks breathable? There’s just no other way to it. Expect waterproof socks to be less breathable than regular socks. It’s hard to strike a balance between breathable and waterproof, but it can be done. There are some technologically advanced water-resistant fabrics that allow a degree of breathability. You might be asking why you need your socks to be breathable. If your socks don’t allow a bit of air in, your feet would sweat and would build up odor, especially if you are doing strenuous activities. Even if the inner layer can absorb sweat, if your feet are continuously sweating, they would soak up the sock. Bacteria and fungi inside the socks can also grow if your feet are always wet. And that’s not a good thing. There are some popularly used waterproof sock materials that deliver the promised feature but are not comfortable or breathable or they don’t conform well to shape of the feet. Some brands boast of materials that can be all the things that you need for a waterproof pair. If you happen to buy one that is made from neoprene, it is probably a good waterproof sock but has poor breathability. It is normally stretchable but stiff at the same time. Gore Tex socks are said to be both waterproof and breathable and therefore a preferred choice for rainwear. However, they are also expensive. Another popular material used for waterproof socks is Porelle. It is both waterproof and breathable. How high your socks are depends on your preference and your activity. But also keep in mind that the height can also affect its waterproof ability. Ankle height means water will get in from the top easily. Knee length offers protection to your leg as well. 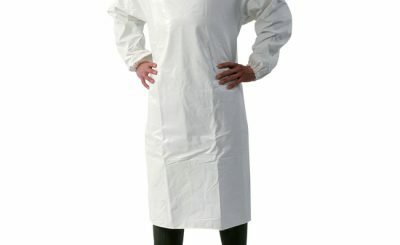 55% combed cotton, 40% polyester, 2% spandex. BLENDED FOR STRENGTH & DURABLILITY : Made of 55% Combed Cotton, 40% Polyester, 2% Spandex. Socks are designed to keep your feet warm and dry during the rigors of trekking the earth’s wild place. They are Strong and durable socks. Outer Layer: 74% high waterproof nylon, 23% lycra, 3% elastane; Inter Layer: High performance Lightweight fabric with breathable and waterproof membrane; Lining: 64% coolmax, 3% lycra, 33% elastane. Mid weight, knee length sock, perfect for a multitude of activities & conditions. Weather Protection – The socks commit to remaining totally waterproof and windproof. 100% Waterproof,100% Inspection and 100% Seamless – Offering the perfect balance of warmth and breathability.